Areas that have high concentration of grimes can be dealt with steam cleaners rather done mopping it all throughout the day. Tile grout cleaning is so important, but how to clean tile grout is another thing. When you search for different home cleaners, you can hardly choose which one is best for your cleaning need. Some would tell you that home-made cleaning solutions are both economical and easy to use while others will claim that chemical-based cleaning agents are far better than any other kind of tile cleaning mixture. For your home cleaning need, you might be surprised that steam cleaning is more advantageous. Let’s discuss top 5 benefits steam of cleaning. 1. Being chemical-free, it is therefore environmental friendly. This cleaning mechanic uses only water as well as electricity to emit hot vapors. Less the harmful chemicals, the bacteria and germs present in the area are likewise terminated. 2. Using vapor steam cleaner is good not only for tile cleaning, blinds, and shower door but for home appliances and furniture as well. It is easier and much quicker to dry compared to mopping, thus, you do away with molds build up on account of retained moisture. 3. 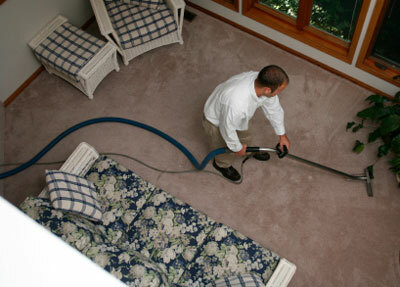 Mind you, there are also steam cleaners designed in removing dirt from clothing and other similar fabric. While an ordinary washing machine cannot do this job, a specially accessorized steam cleaner can accomplish it. 4. Areas that have high concentration of grimes can be dealt with steam cleaners rather done mopping it all throughout the day. 5. Steam cleaning is an effective disinfectant. While it cleans every inch of your floor tiles, it also sanitizes the area by wiping out bed bugs, molds, fungus and other similar microorganisms. Don’t forget that as your vapor cleaning machine serves your home so well, it also needs proper caring and preservation. The brushing system of the machine can wear out through time hence, inasmuch as possible do not use it constantly on coarse and hard surfaces.